I began as a volunteer verger at Washington National Cathedral in July of 2003. Over the course of my time, I had certain epiphanies that, among other results, told me that this great stone edifice which can look cold and imposing on the outside, actually has a warm heart and vibrant spirit. When I am at the cathedral, I hang out in the slype. Now a slype in medieval times was a covered passageway between the dean’s office and the nave, giving the head of the cathedral easy access to the services. 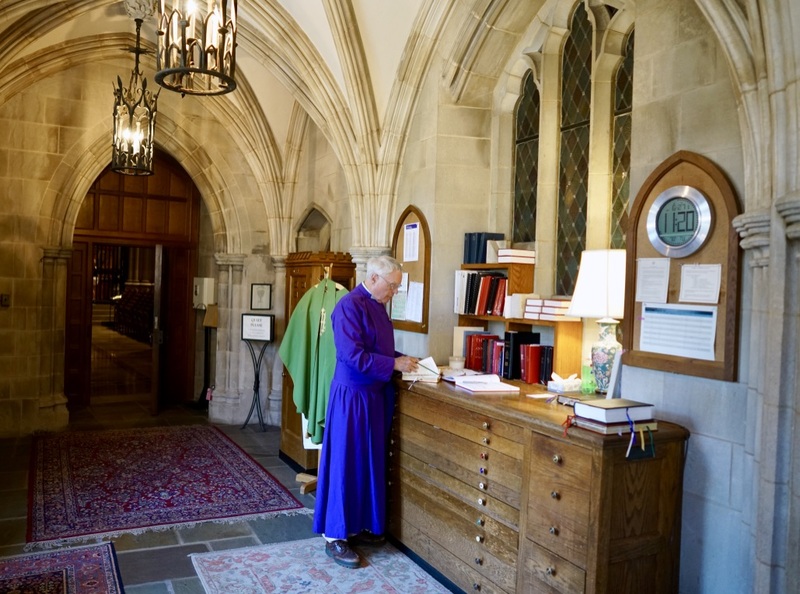 At the Washington National Cathedral, the slype is comfortably furnished, has storage for vestments, the service books, etc. The slype is both a control tower and hanger for worship. On a July evening in 2005 I am finishing the service of Evening Prayer in the War Memorial Chapel at Washington National Cathedral. Evening Prayer is a normal duty for the verger during the late spring and summer with the cathedral schools out and the choristers celebrating summer. Evensong becomes Evening Prayer until the middle of September. Concluding with, "The grace of our Lord Jesus Christ, and the love of God, and the fellowship of the Holy Spirit, be with us all evermore. Amen," I place my Book of Common Prayer on the low altar rail, snuff out the candles, and walk to the back to greet the congregation. Is there no one else around to do this? Then I begin, "Let us pray..." From somewhere the words come forth. When I finish I look up. Both men have tears running down their cheeks. I am overwhelmed. We say goodbye. I leave for the slype to fill in and sign the service book, doing "vergerish" duties preparatory to going home. It is 2017, and I am still overwhelmed as I look back on that summer evening in 2005 when I truly experienced the awesome power of prayer. And the fellowship of the Holy Spirit be with us all evermore. Amen. Abstract: Volunteer Verger David Deutsch from Washington National Cathedral begins a series of Vergers Voice blog posts entitled, "Tales from the Slype." In this inaugural installment, David discovers the power of prayer first-hand after Evening Prayer way back in 2005. The memory remains vivid and strong in David's mind. Have you have had a similar experience in your ministry? We in the Church of England Guild of Vergers are looking forward to our Annual Training Conference, August 14th - 17th, now established at Elim International Centre nestling in the tranquil setting of the Malvern Hills with panoramic views of the Welsh Border from the terrace which also overlooks the swimming pool. Members prepare themselves for a time of; Faith, Fun and Fellowship - Relaxation, Replenishing, Repast and Re-education. We are also preparing for a change in the administration of guild officers as James Armstrong comes to the end of his second stint in the office of National Chairman. James has served the guild in an extraordinary way bringing to the office his unique enthusiasm and individual talents. We look forward to welcoming a new leader in the guise of nominee John Shearer, who after a career in the National Health Service (NHS), has served in three city churches; St Marylebone, London, St Mary Redcliffe, Bristol and presently is serving at Temple Church in the City of London. Potentially moving to National Chairman, John leaves a vacancy for Guild Training Officer and nominee, Robert Beatie, an assistant verger at Worcester Cathedral, is at the ready to take training and the CEGV Guild Diploma Course on their continuing journey. The Diploma Course is open to all members, full and associate and the four year course consists of; Foundation, Pastoral, Historian and Administration units. As well CEGV training based events, guild branches (much like VGEC Chapters, both being based on diocese) meet locally where varying programs are offered. Twice a year, Northern and Southern based day events are organized with the latest being a day in the seaside resort of Blackpool on the west coast. A day of sea sand and "kiss-me-quick" hats is expected as well as the possibility of a "Tea-Dance" in the Blackpool Tower. The total number of members in the the CEGV stands at around 650 at present, attracting vergers from; church, chapel, cathedral and Royal Peculiar. Many hold the title verger, some romanticise with the title of; vesture, custom, apparritor, some are simply the caretaker. All are workers in the vineyard - all are welcome. All members of the VGEC are automatically "Associate Members" of CEGV and all members of the CEGV are "Associate Members" of the VGEC. Overseas members are welcome at all guild activities, events and courses. Information of these events are available via www.cofegv.org.uk and from the the Virger magazine which is available via email from my office. At present, 88 copies per issue are sent "state side" and any VGEC member not already on the list is welcome to furnish me with an email for inclusion on the distribution list. We continue to give advice regarding trips to this side of the Atlantic. We offer tips and information and advice regarding itineraries and localities and, when possible, making introductions. Plus we offer general help, advice, and gossip regarding the gamut of the work of the vergers in the UK. In the flesh we have welcomed overseas members from; California, Tennessee, New Jersey, New York, Mississippi, Florida, New Zealand and Australia. Look me up when next you are passing through. As Overseas Liaison Office I am here for you - please use me! Abstract: John G Campbell BEM. FBGU. 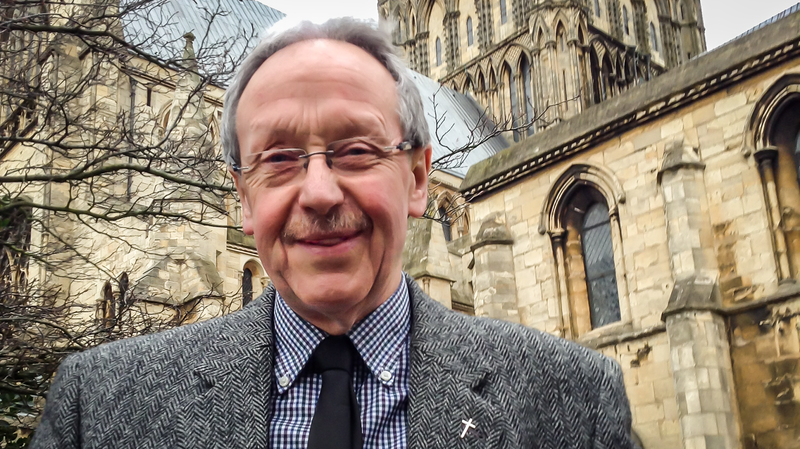 FCEGV, Head Verger of Lincoln Cathedral, United Kingdom, and Overseas Liaison Officer of the Church of England Guild of Vergers, offers greetings and news from our fellow vergers. Did you know your membership in VGEC provides an associate membership in CEGV? 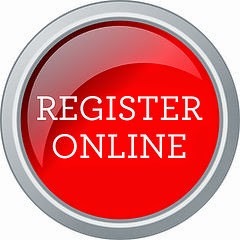 As you undoubtedly know, time is drawing near for the 29th Annual Conference in Atlanta. That means it is a good time to look at the Guild's leadership for the future of the VGEC. Each was elected at the 26th Annual Conference in Burlington, Ontario in 2014 and each is eligible for re-election. The Nominations Committee is seeking up to six nominations from the Guild membership to fill the three open positions. The VGEC Bylaws are closely aligned with the structure of a parish vestry. This provides for all members of the board to be elected at-large and for the board to subsequently decide individual responsibilities and positions. So remember, we are electing board members and not officers. When elected, a board member serves for three years and may be elected to serve not more than two consecutive terms. Must be a member of the VGEC in good standing (a current membership). Comfortable using and learning technology: email, Google G-Suite (Gmail, Google Drive, Google Docs), Trello, video conference and collaboration tools, etc. Virtual attendance at monthly/semimonthly online board meetings (using join.me and freeconferencecall.com). Physical attendance at Annual Conferences. Serve on one or more of the Guild committees as chair or as a liaison to the board. Attendance at mid-year board meeting, preferably in person, but online is acceptable. There is no monetary compensation for board activity participation. Expenses for conference, board meetings, etc., are the responsibility of each board member. Nominations are due to the Nominations Committee at [email protected] no later than the 1st day of August 2017. All nominations must be seconded by another member of the VGEC. The nominee must consent to the nomination. You may nominate yourself but a second is required. Nominations must contain a publishable two to three paragraph biographical sketch. Nominees are expected to make a “not-longer-than two minute” presentation about themselves at the Annual Meeting either in person or online (not a video production). A nomination for the board from the floor may be made by submitting the candidate’s name to the chair of the Nominations Committee no later than thirty minutes before the start of the meeting. The Nominations Committee will review all nominations and present a slate of not more than six individuals to fill the three positions on the board. The VGEC membership will be notified at least thirty days prior to the start of the Annual Meeting. Please submit your nomination(s) to the committee at: [email protected] by the August 1st. deadline. Contact us at this address if you have any questions. Abstract: Three board members will be elected at this year's VGEC Annual Conference in Atlanta. Now is a great time to start thinking about the Guild's leadership for the future of the VGEC. Read about the qualifications of serving on the VGEC board and the process for nominations according the the bylaws of the organization. Atlanta is a city that lives and breathes community, activities, and excitement. There is not a silent weekend in Atlanta, and not an hour when an event does not begin. Atlanta keeps people moving from town to town, park to park, museum to museum, production to production, and it just keeps giving. In October 2017, you will get to experience a little bit of our life in the little Southern city with the BIG Southern attitude. Outside of our Conference, there is a mountain of venues, restaurants and events to explore. My job is to give you a taste and let your mind and your scheduler fight it out. On the VGEC website you can read about the historical and most popular attractions in Atlanta, but here are a few more that you may not know about. Most of them are VERY close to the conference location. Everyone loves Lenox Square Mall and Phipps Plaza, but the side-street boutiques are the heart of Atlanta. Atlanta is home to all things and everyone. You have options, plan ahead, and plan carefully. Atlanta Fun, Atlanta Culture, Atlanta Life, and Atlanta Love are just a few months away.Your Host Committee is working hard to make your visit a great visit. Come and enjoy everything that we have to offer. We look forward to having y’all visit us. See you in October 2017!!! Spend a day with the Most Reverend Michael B. Curry, Presiding Bishop and Primate of the Episcopal Church, in service, worship and in grand conversation as our keynote speaker. Worship in community at churches throughout the city. Meet the Bishops of Atlanta. Be part of a service project in support of Crossroads Community Ministries for the un-housed. Have an unbelievably low conference hotel rate. We're expecting a record turnout of Vergers from around the world. Did we mention that traveling to Atlanta is EASY? Atlanta's Hartsfield-Jackson International is generally known as the world's busiest airport, serving more than 260,000 passengers daily and 950,119 flights each year. You will really like what is planned for the official Reception and Banquet events. The VGEC Guild Shop, along with a stellar group of liturgical vendors and sources, will be in the Exhibit Hall for your dedicated browsing. 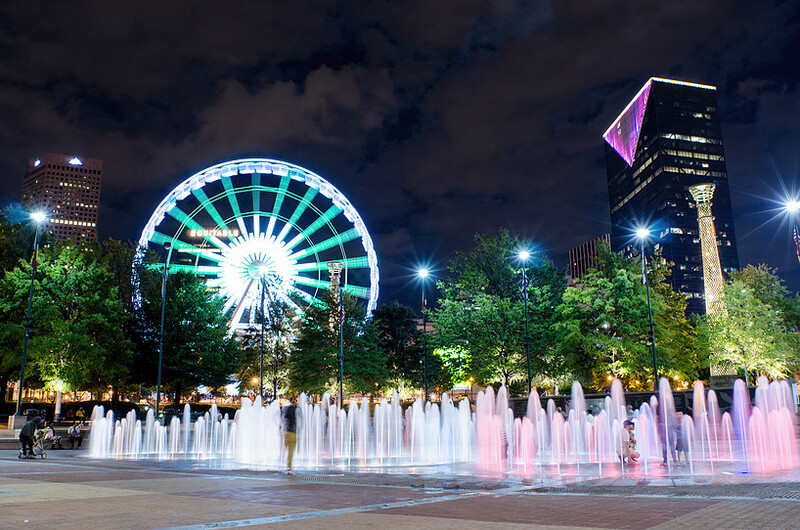 Nearby attractions include the Centennial Olympic Park, College Football Hall of Fame, Georgia Aquarium, MLK National Historic Site, National Center for Civil and Human Rights, the World of Coca-Cola, and everything listed above in this blog. Abstract: Atlanta is a city that lives and breathes community, activities, and excitement. Outside of our Conference, there is a mountain of venues, restaurants and events to explore. Our job is to give you a taste and let your mind and your scheduler fight it out. As Vergers, When do we Serve? When do we Worship? "...process in at three and a half pews distance behind the servers in front of you to prevent the procession from being an accordion." I can tell that they were expecting this to be more of a meaningful experience — maybe even spiritual. Instead their heads are swimming with the movements, the timing and the mechanics of their roles. At this point I say to them all, "Just remember, everything we do here is a prayer. It is all worship through our movements." Now they appear to be truly bewildered. And who can blame them? Speaking of prayer, I have the highest respect for those who practice Contemplative Prayer. Personally, I lack their focus. The antipodes of Contemplative or Meditative Prayer is Kinetic Prayer. For those of us who can think and speak better when we are walking about will understand the benefits of kinetic prayer. One popular version of kinetic prayer is walking the labyrinth. This discipline began in medieval times for persons too poor or infirmed to make a pilgrimage to Canterbury or to the Holy Land. Instead, they would pray and meditate on spiritual attributes as they walked a labyrinth, a discipline which symbolized their own spiritual journey. Walking a labyrinth that was located in their cathedral or abbey garden was certainly safer than a journey to the land of the Saracens, and that certainly helped keep their focus on more spiritual concerns. The prayer practice using Anglican (or Benedictine) prayer beads is another, though a less active form of kinetic prayer. Moving through the sequence of beads, the supplicant chants a "Hail Mary," a "Gloria," an "Our Father," or the like, while simultaneously focusing on another concept such as a spiritual virtue, an act of praise, or an event in the life of our Savior. The spiritual equivalent of patting one's head while rubbing one’s tummy — difficult at first, but with practice it becomes second nature. Sparing my trainees the historical perspective of kinetic prayer practices, I simply say at this point, “Who here has seen or heard of Liturgical Dance, and who has seen or walked the labyrinth?” Recognition returned to their eyes. Many months later, when asked to write a blog post to address those opening questions, I began to compare everything that we do as vergers as a prayer, an offering of praise and thanksgiving to God. Our effort is to make the worship service flow beautifully so the focus will be on the Eucharist and not on the mechanics. I was also reminded of our VGEC motto, “Servitas in cultu et cultus per servitatem” which surrounds the right side of our organization's seal. It roughly translates to, “Service through worship and worship through service.” That truly brought this topic home for me.